Golden dawn at Goold Island, Al created a bubble and squeak breakfast from left over rissoles, mashed potatoes and spaghetti. Had two hours sailing this morning with a landbreeze NW until it dropped out so motoring again. Today Baly went further North than she as ever been before. In 2008 with Al, Jim and Prof onboard we did the Dent to Dunk Rally, 10 days of Resort and beach parties. What a circus that trip was.! Unfortunately some of the old haunts from that trip were decimated by a direct hit from Cyclone Yasi. 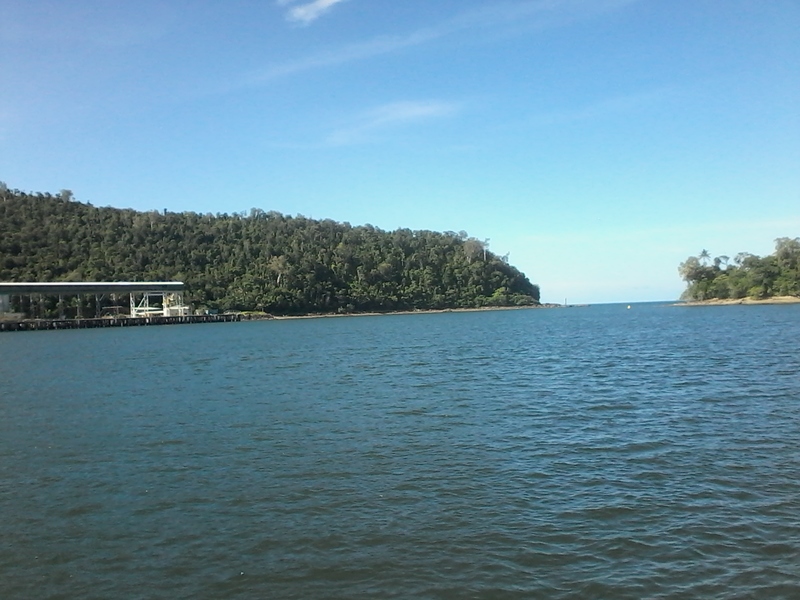 Notably Dunk Island Resort and Port Hinchinbrook. The photo above of Dunk Island Resort show three buildings that have lost their roof. After Dunk the wind filled in from the NE so were able to sail all the way to Mourilyan. Sobering reminder of the perils of sailing was a wreck on Robinsons Beach, just south of Mourilyan, it looked like a modern racing yacht with 3 spreader rig. Mourilyan is a neat little harbour you cannot even it see until about half a mile away, hence it went undiscovered for years. The entrance is only 100m wide but we think this place is much more logical than Lucinda’s 5km+ jetty, these guys here have found a great natural harbour and built a wharf along the foreshore, easy. Al cooked filet steak on the bbq tonight. Will have to go below early to avoid the mosquitos. 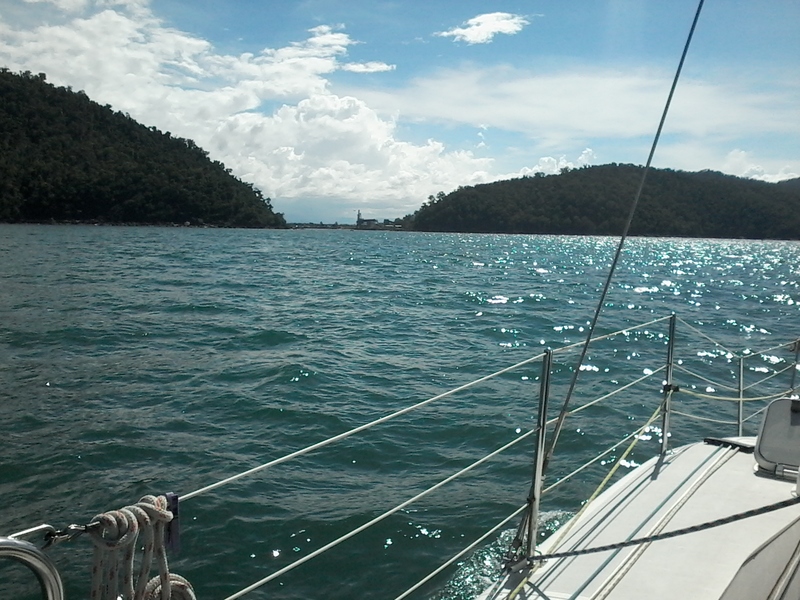 We have a 40 nm run to Fitzroy Island tomorrow. 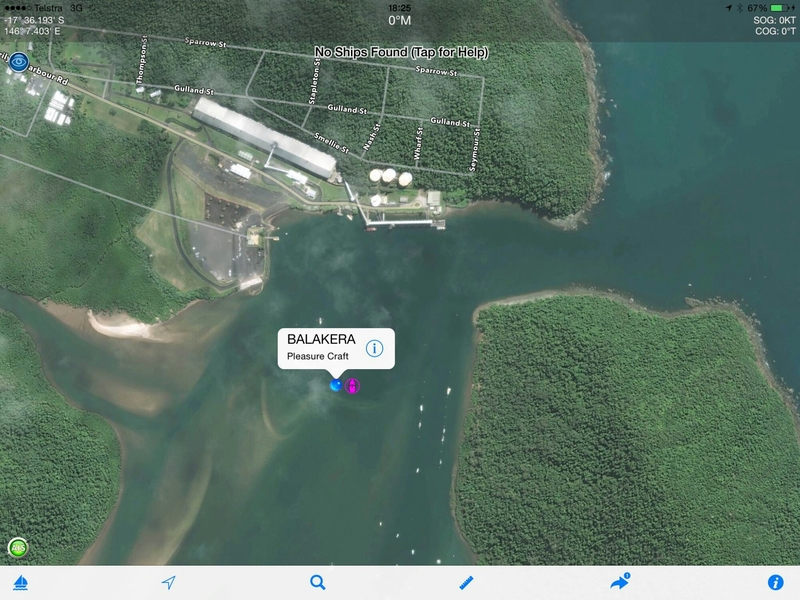 Google maps appears to show parts of Hinchinbrook marina under water. I guess it actually is. 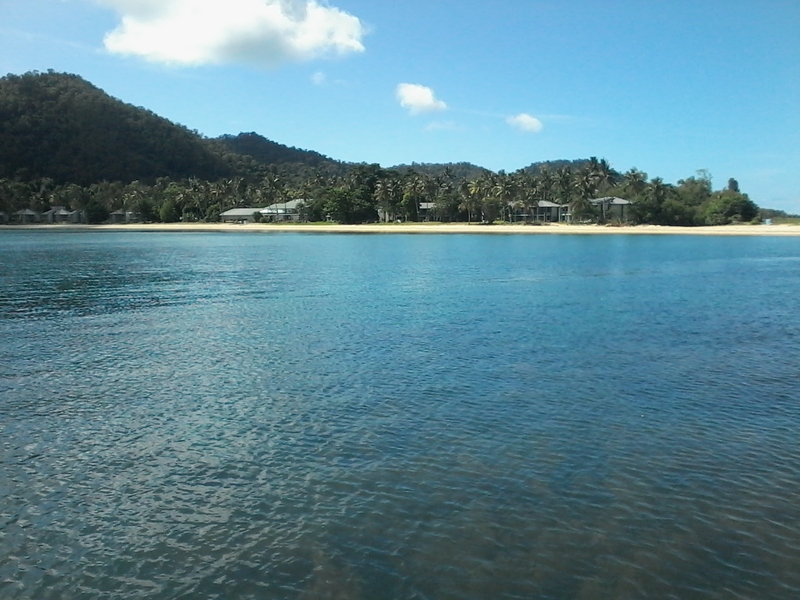 Pity about Dunk Island too. I don’t like the mention of Mozzies. Must be the mangroves. Boatwatch has you doing 6 knots and one third of the way to Cairns from Mourilyan. Heading there for tea maybe?? 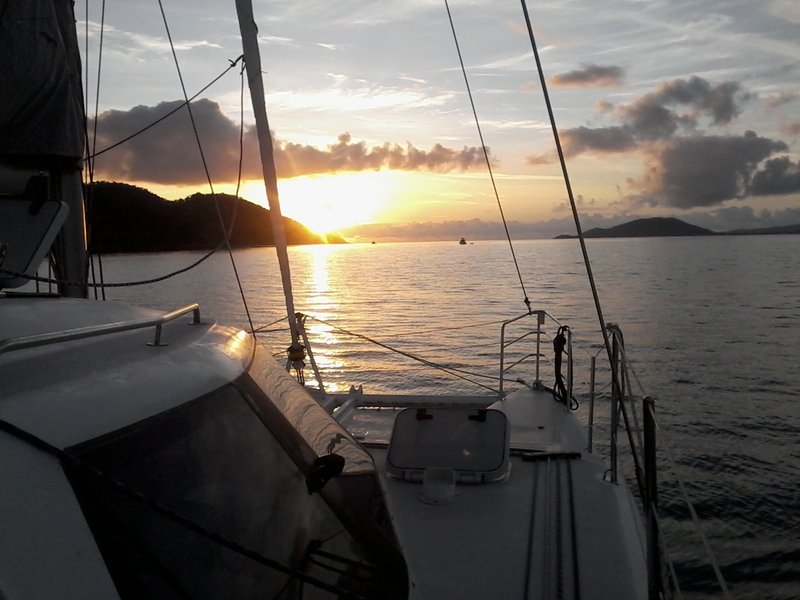 Probably Fitzroy Island tonite and short 25nm to Yorkey’s Knob marina Cairns in the morning.